0 Skyline Drive, Laurel Hill, MLS# 820171: ERA American Real Estate Buy A Florida Vacation Home, Schedule a Showing, Call Brandon Jordan of ERA American Real Estate Today! 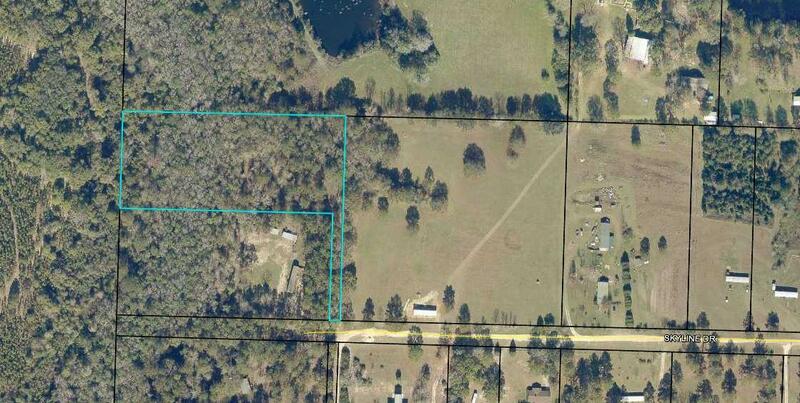 A nice wooded, 4.46 acre property located a an end of a dead-end street! All set up with a septic tank and ready for water and electricity to be piped to a home! Property has about 1.67 acres of wetlands at the back with a creek running through. Great for privacy and enjoying the outdoors in! This listing provided courtesy of Assurance Realty Of Nwfl Llc.